I don’t have a big speech prepared. All I know is that today stood out to me. I looked at countless photos of beautiful babies, took pictures of my own beautiful baby, and told him over and over again how he is going to change this world. He’s already touched hundreds of lives and the boy isn’t even a year old yet. And it’s not just him. 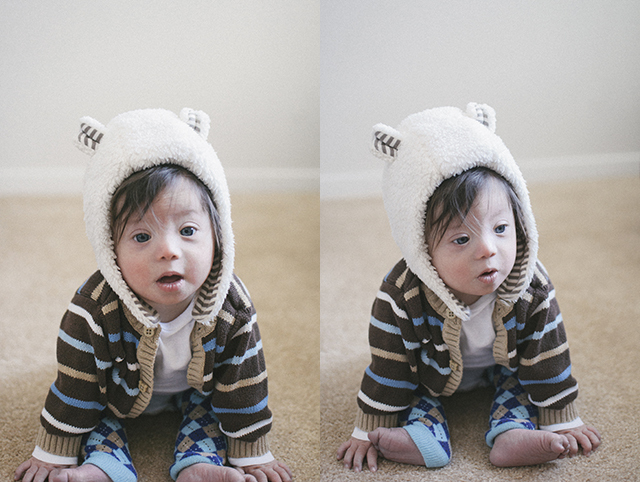 A few months ago I joined a support group of moms who have extra chromosomed cuties and already off the bat I could tell that the way their babies have touched peoples lives is surely evident as well. My prayer is that the world accepts my son and all of these amazing children and he will no longer stand out as different or disabled, but perfectly abled, and capable of doing life-changing things. Though this has been a difficult journey, my heart is on cloud nine. August is absolutely perfect in my eyes. 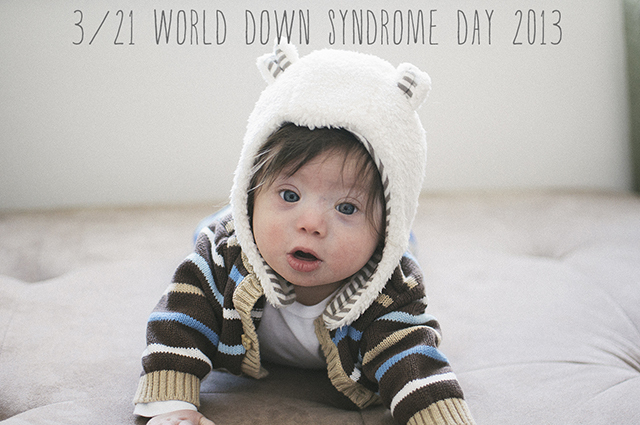 Happy World Down Syndrome Day, everyone! This is a happy day indeed. Meme Lunn - Looking at these pictures of your wonderful son and your beautiful family takes me back 24 years… my son, who also has down syndrome is now 25. We didn’t know he had downs until he was born. I had a “normal” pregnancy as far as I knew (as this was my first baby, I had nothing to compare it to), but I can still remember my grandmother questioning me frequently about how much the baby was moving. After my second pregnancy (the next year) I realized the difference! I remember feeling all the things you must be feeling now and when he was first born… whew, hard to believe that was 25 years ago! August looks very healthy and happy! Every year just keeps getting better and better! Enjoy him, as he IS perfect! The Paleo Diet - Great. Thanks for taking the time. I’ll return to your site to find out more and tell my coworkers about your website. Stephanie - Beautiful post! I know you said you didn’t have a big speech prepared and I think that’s exactly how it was meant to be, because it was perfect. I happened across your Instagram through Kelle Hampton’s and eventually your blog. 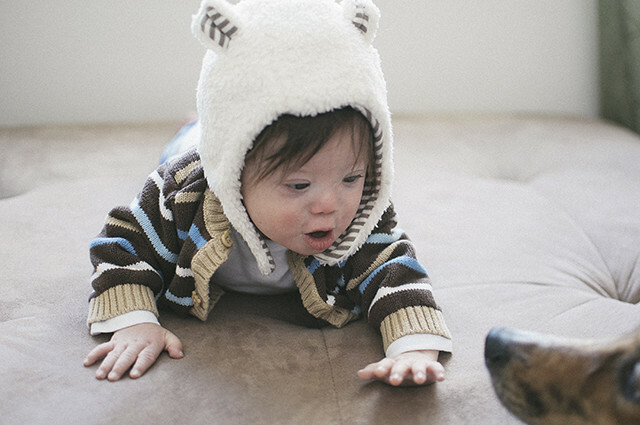 Daphne Mitra - Beautiful message and beautiful photos of your lovely boy. I love how he looks with the beanie and the long hair 🙂 Very cute! gina ramirez ( frausto ) - What a beautiful message …. And yes your son will change the world because of the support and love that you give him through out his life …. Victoria / Justice Pirate - I think he’s already changed the world. He’s so handsome and adorable in this outfit. Love the hat. you are a great mother! Melissa - very nice & simply put!!! And exactly how I felt today too, just couldn’t put it into words! !